Cozy Home w/Deck on 2.5 acres in Pocono Mountains! Property 3: Cozy Home w/Deck on 2.5 acres in Pocono Mountains! Escape to your own private cove! Year round enjoyment at this lakefront cottage! Property 10: Escape to your own private cove! Year round enjoyment at this lakefront cottage! Property 11: Poconos Home w/ Fire Pit, Hot Tub, Deck & Grill! Cozy 4BR Water Front. 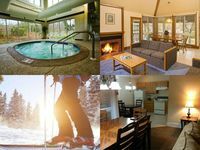 Ski Camelback and Shawnee Poconos Mountains! Property 15: Cozy 4BR Water Front. Ski Camelback and Shawnee Poconos Mountains! 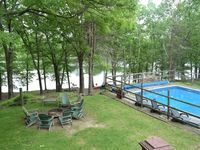 Property 16: Large Lakefront, PRIVATE POOL, Free boats, dock SPECIAL DISCOUNT! Property 18: Secluded Pocono retreat. Private House, Heated Inground Pool & Game Room, 5 mins. to Shawnee, Mount! Property 25: Private House, Heated Inground Pool & Game Room, 5 mins. to Shawnee, Mount! Beautiful Country Home with Waterfall and Hot Tub! Property 28: Beautiful Country Home with Waterfall and Hot Tub! Escape to Rustic Waterfront Luxury! Property 29: Escape to Rustic Waterfront Luxury! Luxury home, close to 2 ski resorts, 3 water parks, casino, outlets, high-tech. Property 32: Luxury home, close to 2 ski resorts, 3 water parks, casino, outlets, high-tech. Beautiful home, hot tub, wood fireplace, game room, lake, near Camelbeach! Property 37: Beautiful home, hot tub, wood fireplace, game room, lake, near Camelbeach! LD - Lakeview newly renovated 6 bedroom home with multiple community amenities! Property 39: LD - Lakeview newly renovated 6 bedroom home with multiple community amenities! Property 40: The Perfect Destination! Property 41: Perfection in the Poconos! Property 42: Magnificent Poconos Home!! Property 44: All the comforts of home! We rented the cabin for a weekend in April 2019. 8 people comfortably spent two wonderful days in a cozy cabin and had a lot of fun. Jose helped us to resolve all the problems and was very responsive. Onsite staff were pleasant our unit was clean and well stocked. Gina made our reservation process through vrbo fast and easy..and the Wyndham staff made it a seamless stay. Loved the minigolf and the indoor activities. Thanks, will definitely come back again and recomend it to friends and family.